The story below was recalled by Somali refugee Binti. The details described are accurate to the best of her recollection. The REFUNITE mobile application described below is available only to adult (over 18) members of separated families in search of loved ones. This is the story of Binti* – mother of three adult children, victim of war, and refugee – and of her reconnection with her oldest daughter Filan. * After years of searching, Binti discovered REFUNITE and used the mobile family-tracing platform to locate her daughter. For five years, Binti lived in fear that her children were lost forever. Residents of Mogadishu, Binti, her husband, and their three grown children were separated amid the city’s unrelenting violence. A terrorist group entered their house in search of Filan, who was not present at the time. Undeterred, the group returned three times. During the third attack, after refusing to give up Filan, Binti’s husband was kidnapped. The same group kidnapped Binti the following day. While she struggled to survive her captivity, Binti’s neighbors sent her children across the Somali border. After two years, Binti escaped her imprisonment and began to look for her children. She heard a rumor that the three had been relocated to a refugee camp,* but when she arrived at the camp, she could find no news of them. The camp became her home – a safe place filled with others who, like Binti, wavered between a crushing fear for the safety of their loved ones and an indomitable hope that someday they would be reconnected. In July 2013 – five years since Binti had last seen her children – a REFUNITE and Red Cross outreach volunteer described to Binti a platform developed specifically to help reconnect adult members of separated families. 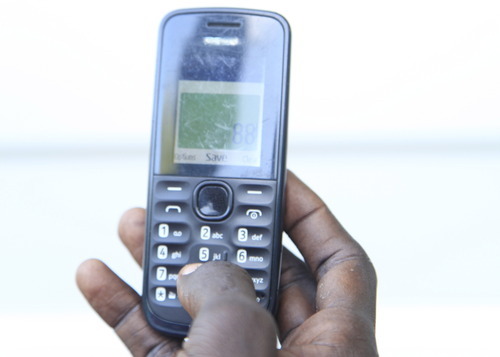 By registering with her mobile phone, Binti could not only make available her own information but could create profiles for the family members she had spent years trying to find. Thirty-five days later, Filan, who had also registered on the platform, discovered that someone with her name, matching her description, had been reported by a mother in search of her daughter. Still unconvinced, Filan sent Binti an SMS over the REFUNITE platform. She also contacted REFUNITE, explaining that she believed her mother might be looking for her. A volunteer of REFUNITE and Red Cross helped Binti contact Filan directly. Over SMS, she asked Filan to name the children her mother had birthed. Filan replied with her name and the names of her siblings. Binti watched the message appear on the screen and realized that her five-year search was culminating in a reconnection with her oldest child. Binti and Filan’s story is a hopeful reminder that, though reconnecting families who have been separated under dangerous circumstances can take years, these reconnections are still possible. Filan now lives in the United States and although Binti remains in East Africa, the two hope to see each other again soon. They each continue to use the platform to search for Filan’s two adult siblings. With over 280,000 registered users, and with outreach volunteers scouring the streets of refugee-populated neighborhoods, entering refugee camps, and harnessing the power of mobile technology to reach those in need, REFUNITE is committed to reconnecting separated families. *For security reasons, the names of the refugees as well as the refugee camp have been changed or omitted.